The following encyclical was issued out of the Metropolis of Denver and written by Metropolitan Isaiah. The Lord does not want slaves in His Kingdom. We are living at a time in which most people stress their total independence of all things or they prefer to come under the shelter and obedience of a charismatic leader. Few are they who follow the Christian principle of adoption as God's children. 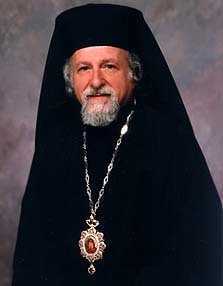 A follow up to this encyclical was written by Metropolitan Isaiah on January 21, 1999. May God's blessings enrich your priestly ministry throughout this new year. Last Fall and specifically on October 28, 1998, I wrote an encyclical to you numbered 98-21 regarding the use of the free will and how certain individuals prefer to negate their free will and to depend solely on spiritual mentors in all things. I am totally surprised that certain persons misinterpreted the encyclical and thought that I was criticizing our Orthodox monastics and specifically one or two of our Orthodox elders. Obviously such persons do not fully understand the English language; for if they had read my letter carefully, they would not have thought that I was critical of religious or spiritual leaders per se, whether legitimate ones or false ones. I was clearly referring only to those followers who relax or negate their free wills. It is never a truly spiritual mentor or religious leader who relaxes his followers' free will; rather it is the followers who prefer to do this because they do not want to be responsible for their own lives. Such individuals even include priests who on occasions use religious leaders like others use a horoscope. I am disappointed that certain individuals stated that I was critical of real spiritual leaders. They should understand that I was cautioning the clergy to make our people aware of the fact that they, the people, must continue to exercise their free will in following religious leaders, and to continue to use their free will while being obedient to such leaders or to the life style they believe will edify them. Please read my encyclicals with care. Do not read into them, but read out of them.